And so it was, a few months ago, that The Girl uttered those words that every mother fears, well, every mother as disorganised as me at least. 'Mum, I'm becoming a vegetarian'. My first thought wasn't 'well I'm proud to have a daughter who knows her own mind and isn't afraid to stand up for what she believes in'. No, it was more along the lines of 'Damn, two lots of cooking'. I struggle to come up with exciting wholesome non-vegetarian food, now I'll have to throw some vegetarian meals into the mix. Now I should say at this point that I have previous in the vegetarian stakes (steaks...tee hee) as I myself was vegetarian for 9 years. 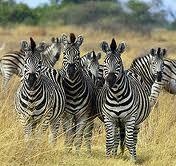 My own foray into a meat-free world came about as a result of an unfortunate experience with zebra in Africa. I was on holiday in Kenya with some girlfriends and our guide suggested an evening at 'Carnivore', strap line, 'A Beast of a Feast', in which you get to feast on all sorts of beasts that you probably wouldn't find on the meat counter of Morrisons. It is a vegetarian's hell, with a huge barbecue pit with assorted wild and not so wild animal parts cooking over an open fire. The meat is on huge skewers, rather like spears and the waiters walk around and hack large chunks off on your plate. I was never a huge meat eater and started to feel slightly queasy at the sheer, well, meatiness of it all. I stuck to the more familiar meats but was then, as a result of an ethical argument about why I would eat cow but not zebra, I was challenged to try some zebra. I always steered clear of eating animals that I felt an emotional attachment to and having been brought up around horses I could never eat anything equine or equine-like and a zebra was like a stripy horse wasn't it? Anyway, I relented and agreed to try zebra. Eating the sole of my shoe after a long walk through cow dung would have been a more pleasant experience. It was tough and strong tasting and with every chew all I could imagine was a baby zebra galloping around the plains calling for it's mother, whose rump was now on my plate. I chewed and chewed but I couldn't swallow it and from then on, just the sight of meat made me nauseous. My mother was suitably horrified but I had, at least, had the decency to leave home before making this momentous decision not to eat meat. I can still remember my first vegetarian Christmas and the delicious nut roast that Mum make. By 6pm I was poleaxed by the worst case of wind in the Northern Hemisphere and had to retire to a bed with a hot water bottle where I farted the night away. And, of course, my sister's wedding where the hotel's idea of 'vegetarian' was salmon. Err, point of order sir, salmon counts as meat in the vegetarian world. The guest book still bears the immortal word of my friend Gerard, who partnered me to the wedding 'I hope your sister's vegetarianism gets better soon'. And it did eventually. When I was pregnant with The Boy I had a serious craving. Not coal, not lemons or ice cream but Iceland frozen shepherds pies.... oh, and Doritos. Every day saw me skulking guiltily around the freezers loading up my basket with enough shepherds pies to keep me going through the day. I craved them for breakfast, lunch and dinner, and several times in between. Honestly, after 9 years of being vegetarian what a godawful thing to break my vegetarian vows on. But back to The Girl. The whole vegetarian thing came right out of left field. We'd always joked that a little carnivore like her would never become vegetarian. She'd never much liked the butchery section of the supermarkets and she couldn't walk into a butchers because the smell made her feel sick but as her idea of 'Five a Day' would be a carrot and 4 tins of sweetcorn. Vegetables were just not her thing. I tried to be supportive... well, actually I didn't. I told her that she barely ate vegetables and that she would either live on cheese and get fat or starve to death. She told me she was prepared to still eat fish so I pointed out that fish feel pain too. Big mistake. 'OK' she said, 'I won't eat fish either then'. Damn, damn, damn. I tried to get to the bottom of her change of heart. Was it ethical? She told me she didn't like the idea of animals being killed for food. I told her that abattoirs were very closely regulated, that vets were on hand to ensure that they animals didn't suffer, that if we didn't eat them we'd still have to kill them anyway as there isn't enough room for us all and wasn't it better that they were killed for food rather than just killed but she wasn't moved. I resorted to whining about how difficult this would make my life, having to think of two different meals every day. She offered to cook her own food. I felt guilty. I decided that the fairest thing would be for us to all eat vegetarian at least twice a week. This went down like a pork chop in a synagogue with The Boy, a compulsive fitness freak who also feels that anything that doesn't require cutting with a steak knife is not real food. He complained that being 'forced' to eat vegetarian food would have an adverse effect on his physical fitness. So far this whole vegetarian thing was a minefield! Now, two months into the vegetarian adventure, The Girl shows every sign of keeping it up. She checks labels religiously for signs of gelatin, has restricted herself to the one type of Haribos that is veggie-friendly and, alarmingly, has started reading the blog of a teenage vegan. God forbid she goes that far. On the plus side though, she has embraced vegetables that she wouldn't touch before and is finding out that courgettes are cool and aubergines are awesome - and also that Jaffa cakes don't contain gelatin.. Brussell sprouts are still a step too far though. I don't envy you...though you'd be much too tough to come up for cooking four different meals for a family of six as a daughter's friend does. I did shudder when vegan friends were coming over, but I did cope for a week...not so sure about forever, though! What is it about the poor unloved Brussels Sprout? I love them...though drawing the line at a veggy friend's favourite...sprout and grapefruit salad. Been there, done that and still bear the scars, Wylye Girl. In our case it was Our Boy and he kept it up for quite a while, but eventually reverted. It was hard work trying to make suitable meals for us all, but we were luckier than you in that Our Girl would happily eat vegetarian, as long as it wasn't all the time. If I were you I'd take her up on her offer to make her own food sometimes, as long as she makes enough for 4! I think people ought to try such things if they feel a yearning... but they need to be consistent about it and about why they're doing it. Does she propose to give up leather goods? becoming vegetarian is more than giving up meat - it is as you say eating more veg and nuts and sustaining your body healthily by eating foods that provide the protein lost from not eating meat. I do not seek to dissuade her... I just feel if someone is going to do it they must do it properly. My sister has been veggie for over 15 years now and is perfectly healthy. She does, however, eat fish! Oh no - I feel your pain! Round about this time last year, TD announced that she was turning veggie. I too blogged about it, but not as nicely as you! There followed the longest nine months of my life - eventually, a weekend at Reading Festival saw her munching bacon sarnies and she's eaten meat ever since - THANK GOD! Good luck with it - and all power to her. Lenin has been a veggie since she was 3, by her own choice. She doesn't like meat substitutes like quorn, but it really has not been hard to offer her alternatives to whatever the rest of us were having: veggie lasagne or a vegetable sauce with pasta; shepherdess pie; a veggie curry etc. With roast dinner, although she likes a nut roast, she also likes a giant yorkshire with her vegetables in it and lots of (veggie) gravy. 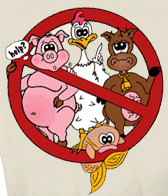 Over the years I have found I eat less meat as a result even though I can't imagine giving it up altogether. I think you were very fair with cooking 2 veggie meals a week. Smart and supportive decision. I like beef too much to become a vegetarian, but I like vegetables too. I had never eaten Brussell sprouts until I was pregnant with my third child and I couldn't get enough of them. I still like them. My dearly beloved is mostly vegetarian. As you know, it's not easy in France, but given the choice, he prefers vegetables to meat. Which means that I've had to investigate vegetarian cooking for when he comes round. Thankfully, BBC Good Food has a fantastic selection, including many spice-based dishes as veggies can get very boring, and the boys have no objection either. The only thing they won't eat is cheese, so if we're having a Mont d'Or, they'll have something else. Good, more for me!! I can't imagine either of my boys will come out with 'I'm a vegetarian now' especially as they don't really like most veg. Or cheese. Fingers crossed! Giggled like a school girl at that post. Brilliant. Reading this post (your girl sounds like the grown up version of my girl) I feel I might need to revisit you for advice in several years! !